i created two uses cases. Use case B extends use case A. Use case A has an extension point. Now i'd like to set the extension point of the extension relationship by double clicking on the dotted arrow. In the new window called "UseCaseDependencyEdition" in click in Extension point. 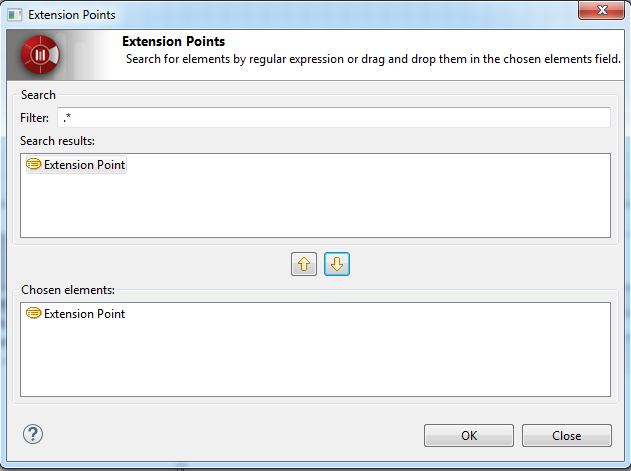 After that i get the window "Extension Points" where i'm not able to select the exisitng extension point. The visibility of the extension point is public. The screenshot also shows my problem. You have to specify a regular expression in the Filter field. For example the ". 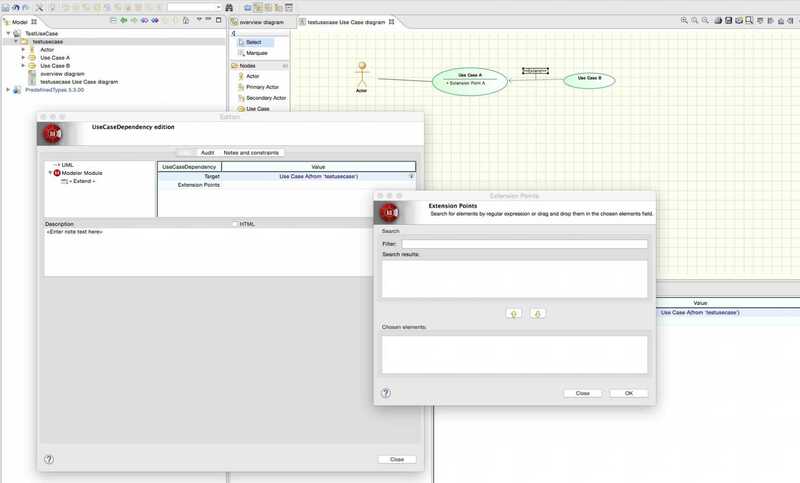 *" filter will list all the possible Extension Point in your model then select the desired one's and add them in the lower list.